The 5th Heavy Artillery, 204th Regiment was recruited mainly in southwestern Pennsylvania during late summer of 1864. It went to Washington, D.C. and spent some time guarding the Manassas Gap Railroad, during which time it had some run-ins with John Singleton Mosby's southern troopers. In October the regiment was stationed south of the Potomac and remained there until disbanded in June of 1865. The yellow regimental was produced by Horstmann Brothers sometime in the fall of 1864. 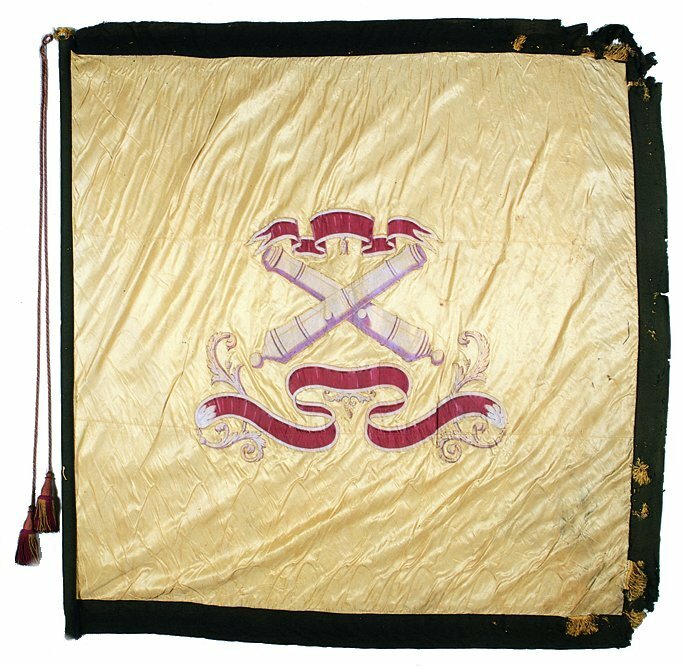 The standard was left in Pittsburgh when the regiment disbanded and was given back to state care in 1866, where it has remained ever since. Source: Richard A. Sauers, Advance the Colors: Pennsylvania Civil War Battleflags Vol. II (Harrisburg: Capitol Preservation Committee, 1991), p. 507.